A new Galaxy S from Samsung every year has become a regular feature of our tech year. 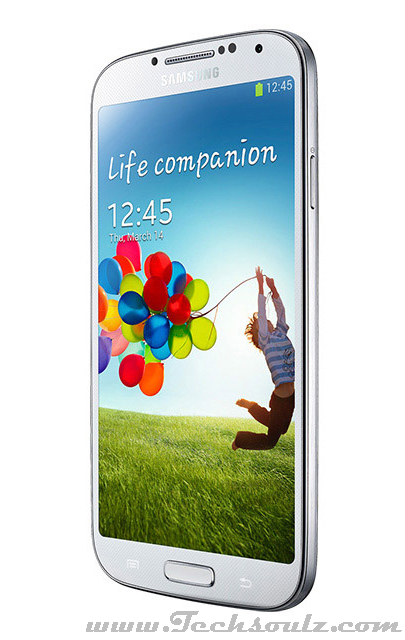 And sure enough, after the success of the Galaxy S II and S III, Samsung has unveiled the Galaxy S IV. It is the first handset of the Galaxy S series to come with a 5.0-inch Super AMOLED display with 1080 x 920 pixels resolution. And in best Galaxy S tradition, it is a hardware beast. The smartphone runs on Android 4.2.2 Jelly Bean and is powered by a 1.9 GHz and 1.6 GHz Octa core processor. Although it is the first phone to be launched with an eight core processor, it will be using just four cores at a time. The phone will come in 16, 32 and 64 GB variants, although storage can be expanded via microSD card. On the camera front, the device boasts a 13-megapixel rear camera with flash and a 2.0-megapixel front facing camera. The smartphone also has features like Smart Pause, Smart Scroll, S Translator, S Travel (Trip Advisor), S Voice Drive, and S Health and lots more. On the connectivity front, it comes with 4G, Wi-Fi, Bluetooth 4.0, MHL 2.0, GPS and NFC, all of which run on a 2,600 mAh battery. The price of the device is Rs 41,499 like most recently-released flagships.